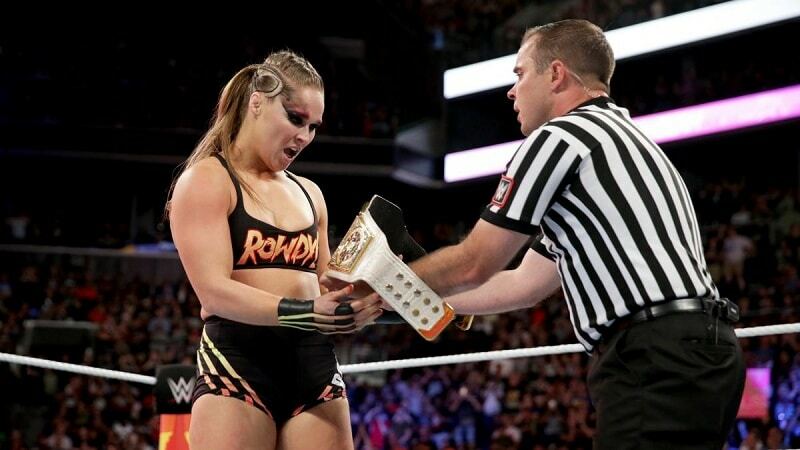 Ronda Rousey has gone full heel in WWE and has turned on the fans and on the other wrestlers heading into WrestleMania 35. This week, her husband Travis Browne was in the front row for her match. The match saw Rousey put her Raw women’s title on the line against Dana Brooke, someone who has never had a chance at a title before. Rousey destroyed Brooke, locked in the arm breaker and Brooke tapped out. However, Rousey wouldn’t let go of the hold and tried to break Brooke’s arm. A second referee ran down and pulled Rousey off of Brooke. Then, when the referee manhandled Rousey, she slapped the crap out of him. Last week, Rousey attacked an official as well and was fined for her actions. Security was called in this week to protect the officials. Ronda Rousey left the ring and gave her husband Travis Browne a kiss at ringside. Even though Rousey had already left the ring, security ran down and confronted her. One of the security guys grabbed Rousey and she slapped him and then mounted and beat the hell out of him. Another security guy grabbed her and tossed her aside. That is when he got too close to Travis Browne. Because the security guy laid his hands on his wife, Browne knocked him out with one solid forearm shot. Security surrounded Rousey so Travis Browne lifted her over the barrier and the two left through the crowd. Travis Browne was brought into this feud in two ways. First, Ronda Rousey has a YouTube channel where she makes personal videos concerning her work in WWE. Travis Browne has been part of these videos. Second, Becky Lynch and Ronda Rousey have been feuding on Twitter. When Rousey insulted Lynch’s armbar, Lynch posted a photo of her using it on Rousey and put Travis Browne’s face on the arm. Travis Browne is not only Ronda Rousey’s husband but he is also a former UFC fighter. Browne has a record of 18-7-1 as an MMA fighter and his last fight was in 2017 after four straight losses. Over his career, he was involved in three Fight of the Nights and was also awarded the Knockout of the Night four times and Submission of the Night once. He beat Abe Wagner in 2010 for the VFC Heavyweight Championship and Aaron Brink the same year for the Gladiator Challenge Heavyweight Championship. He signed with UFC months later. His biggest wins in UFC was over Alistair Overeem and Josh Barnett, both wins coming in 2013. 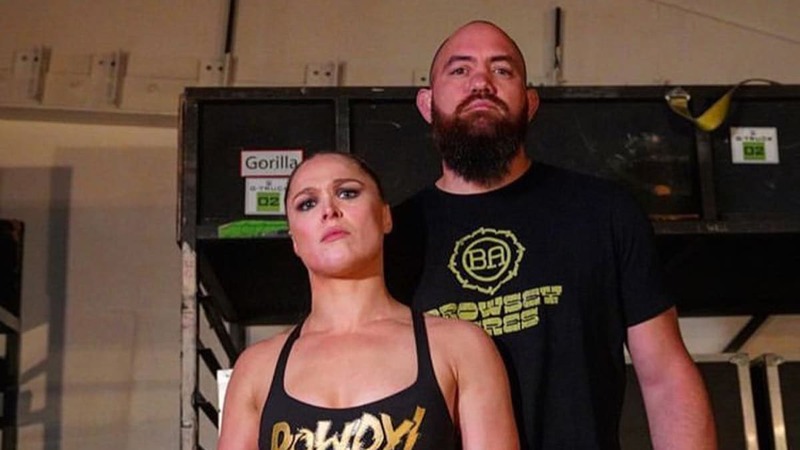 Travis Browne and Ronda Rousey married in 2017.